Everyone wants to have a beautiful set of white teeth, and there is an abundance of products on the market that can make it possible for you to have them. 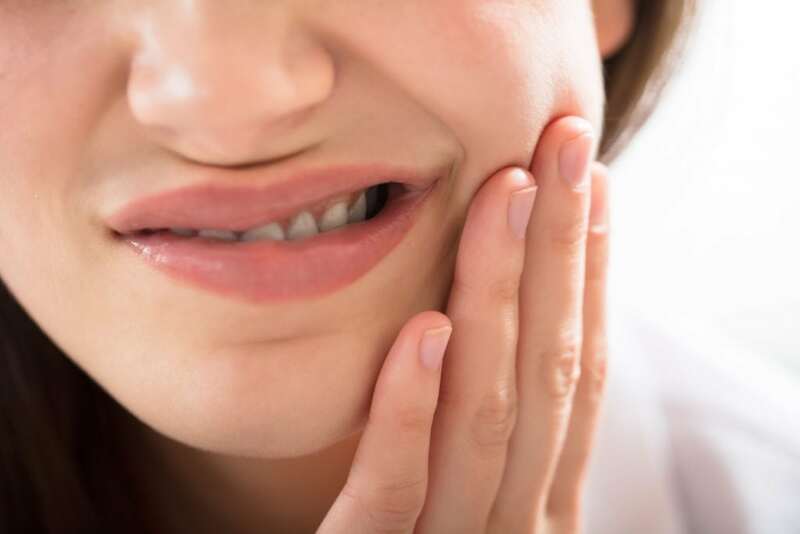 For some people, however, there are concerns of sensitivity being caused by whitening your teeth, especially for those who may already suffer from sensitive teeth. At the Magnolia Dental Dr. Quartano has been helping patients get beautiful white teeth without the worries of painful sensitivity for years. If you’re wondering whether teeth whitening is right for you, call and make an appointment for a consultation. What Forms Of Teeth Whitening Are Available? For many people, an over-the-counter teeth whitening product will do the trick, but in some cases, it may be necessary to get your dentist involved. This can include occasions where the stains are particularly durable, or where you want to get an office grade whitening in your home. When you come into the office you’ll be presented with the option for a chairside bleaching, a procedure that can typically be accomplished in a single visit. During the visit, a high-strength bleach is applied to your teeth using a protective gel or a rubber shield to ensure your gums are protected. You can also be provided with an option to do this at home with an out-of-office bleaching kit. The latter is far less efficient, taking a few days or weeks to get full results, but safe for at home use. What Kind Of Side Effects Are There To Teeth Whitening? Due to the nature of the teeth whitening process, the most common result is tooth sensitivity. The whitener can penetrate the enamel on your teeth, seeping through the dentin and getting down to cause irritation at the root of your tooth. It’s vital that you take care when whitening your teeth as it’s possible to damage your teeth or gums if you attempt the procedure on your home with over-the-counter products. In most cases, no. Tooth sensitivity is the result of an irritated nerve caused by the tooth whitening agent seeping into the dentin of your tooth. Only in those instances where over-whitening has led to damage to the enamel of the teeth or gums will sensitivity have a lasting effect. In both these instances, procedures can be done to reduce or eliminate the effect, but its best to avoid them altogether by having your dentist perform the procedure. If you’re wondering whether or not Tooth Whitening is a procedure you can take advantage of, it’s time to call the Magnolia Dental and book a consultation. With expert care physicians in the office like Dr. Quartano, you’ll be receiving expert care and a knowledgeable hand on your tooth whitening experience. During the consultation, your teeth will be examined and assessed to determine whether or not a tooth whitening procedure is appropriate for you. Pick up the phone and call the office today to book an appointment and get on the road to a shining white smile!